Listening Time: 4 hrs. 42 min. Carter Embree is a lawyer stuck in a dead-end job that he hates...well, he doesn't actually hate the job, just who he works for. Carter's a lawyer with a conscience and with each day he's becoming more and more unhappy with what he sees. Sandy Corrigan's a vet tech who wants to a vet so at 33 years old he's working full time and going to school. These two men's lives collide when Carter ends up the unexpected owner of a puppy that he's told is a Chow/Samoyed mix so imagine his surprise when he find out that his Chow/Samoyed dog is in fact a Shih Tzu/Chihuahua mix...little bit of a size discrepancy there...lol! I liked Carter with all his insecurities and quiet demeanor. Carter was also a reflection of the adage 'money can't buy you happiness'. He'd been raised in a home where money wasn't a issue, the best schools, successful parents. But what Carter really wanted was someone to share his life with someone whom he could believe in and who believed in him. Sandy was in many ways Carter's opposite. He'd grown up with a sister and a single mom. Things like money for college and nice homes weren't a possibility in Sandy's world. But Sandy wasn't one to let things like this get him down. He was confident and upbeat. He knew what he wanted and when he saw it he went for it. So when Sandy decided that there was more to Mr. Crazypants than meets the eye it was only a matter of time. 'Freckles' was a fun, sweet story of a romance that started because one man gave his heart to a cute, little puppy. I loved the slow build between Carter and Sandy and watching Carter figure out where his life was going both personally and professionally. This was a feel good story with little to no angst and lots of feelz to make you smile and a happily ever after that will keep you smiling. 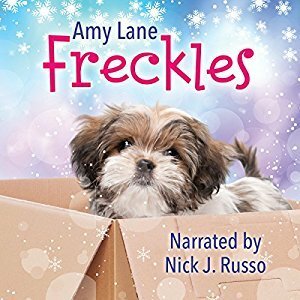 So here we are basically a year later and 'Freckles' once again comes across my radar only this time it's the audio book version and it's narrated by Nick J. Russo...ya' all know I'm a fan, right? Yep, sign me up. It's a book by one of my favorite authors and it's being narrated by one of my favorite narrators and I'mma gonna have me a few hours of happy time because when it comes to audio books Mr. Russo is as close to a surefire deal as one can get. If you're like me and find that while you love to read books, it's also nice to have someone read you a story...'Freckles' is a fun grown-up version of having a bedtime story read to you...it's Christmas time, there's an adorable little puppy and two hot men who find the gift of love in each other...what's not to enjoy? Happy Listening & Happy Holidays! 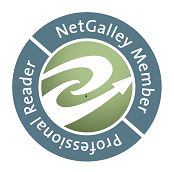 An audio book of 'Freckles' was graciously provided by the publisher in exchange for an honest review.